Cross the threshold into the dungeons below or escape the subterranean realm to the wilds above. 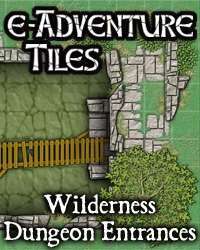 Make the crossover with e-Adventure Tiles: Wilderness Dungeon Entrances. e-Adventure Tiles: Wilderness Dungeon Entrances details six entryways that transition from the wilderness surface to the dungeons below. This 18 tile set contains ten 6x9 inch wilderness tiles and eight 6x6 inch dungeon tiles. 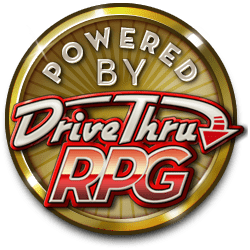 Features include ruined slopes and stairs, collapsing structures, an overgrown shrine, a well, and all the details you need to add excitement and flavor to your tabletop games.